In our last blog, we responded to a customer who mentioned how nice her house smelled after we left. The four little words — “and smelled nice too” — gave us the inspiration for this blog, as we are green cleaners. As lovely as a clean home looks, the elation of seeing it can be diminished if the smell of your home isn’t to your liking. 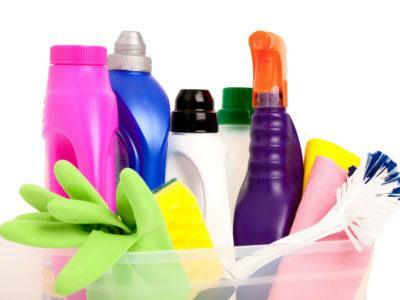 Over the years we have chosen and re-chosen the cleaning products we use to deliver the best possible clean. But, it’s just as important to us that we also leave behind a scent that’s both fresh and unimposing. We are green cleaners and the scent of your home is important. You want your home to smell clean, but not the kind of scent associated with, say, a hospital surgery room. When you go to a hospital, the smell is a telltale sign you’re in a sterile environment. But, would you call that scent refreshing? No. You want your home to be clean. But you need a smell that suggests clean, not slaps you in the face with it! Happy Maids uses gentle green cleaners with light natural scents. Green cleaners are gentle on your home and your nose. You don’t want your home to smell like you’re trying to cover something up. When you have guests coming over, don’t let them think that you’re trying to hide a cigar-smoking salmon in diapers. You want the bad smells gone, not covered up with an artificial air freshener. What’s the best way to get rid of the problem? Remove it! The best way for us to do that is to perform a thorough deep cleaning service to remove the nasty dirt and grime, not just cover it up. A fresh-smelling home is a refreshing byproduct of a clean home. When you want your home to have that just-perfect scent, contact us!